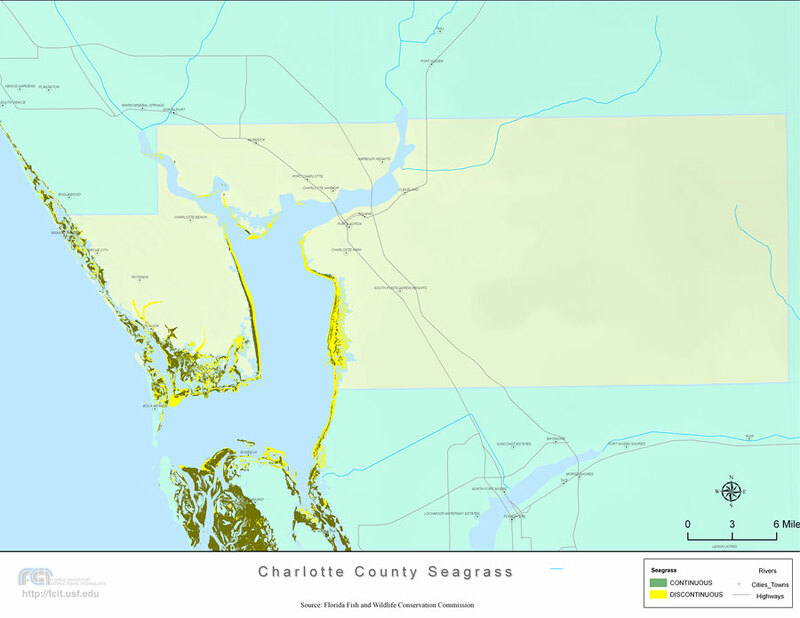 Description: This topographical map was created by FCIT and shows the seagrass distribution for Charlotte County. The green coloration depicts continuous seagrass while the yellow shows discontinuous seagrass. In addition to the seagrass, rivers, towns, and highways are shown. Some of the towns are Charlotte Harbour, Rotonda, and Punta Gorda. The data used for this map was taken from a 1992 United States Geological Survey (USGS).